Just eleven weeks after the attack on Pearl Harbor, President Franklin D. Roosevelt signed Executive Order 9066 authorizing the evacuation of all Japanese Americans from a newly defined military zone including the West Coast, Alaska, and southern Arizona. By May 3, 1942, all Japanese Americans living in the military zone were ordered to report to temporary “assembly centers” located in fairgrounds, racetracks, and unused migrant labor or Civilian Conservation Corps camps. From there, most evacuees went to one of ten relocation centers, hastily built in desolate areas of six western states, plus Arkansas. Others were unjustly accused of disloyalty and were incarcerated in Department of Justice camps. These internees, usually community leaders, included Buddhist and Christian priests/ministers, journalists, Japanese language instructors, and others with higher education. The US Government interned nearly 120,000 Japanese Americans during World War II. Two thirds were natural born citizens, and the remaining third included longtime legal residents denied citizenship simply because they had been born in Japan. 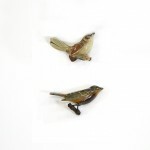 Moved by necessity, a desire for beauty in the desolate environment, and a need to express themselves in a situation over which they had no control, internees made practical and decorative items for themselves and their living spaces. Lacking money to purchase most materials, they used what was at hand – scrap lumber left over from camp construction and materials natural to the areas in which the camps were located, such as shells from Tule Lake and various woods from Arkansas. Shown here are several items made in camp, preserved by the families or friends of the artists, and donated to the Legacy Center of the Japanese American Service Committee for future generations. Click on each image to see it at a larger size in a new window. 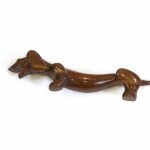 Wood wall hanging, ca. 1944. 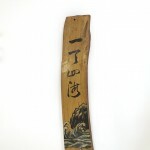 Illustration of a wave with Buddhist saying “One Heaven, Four Seas” in Japanese. 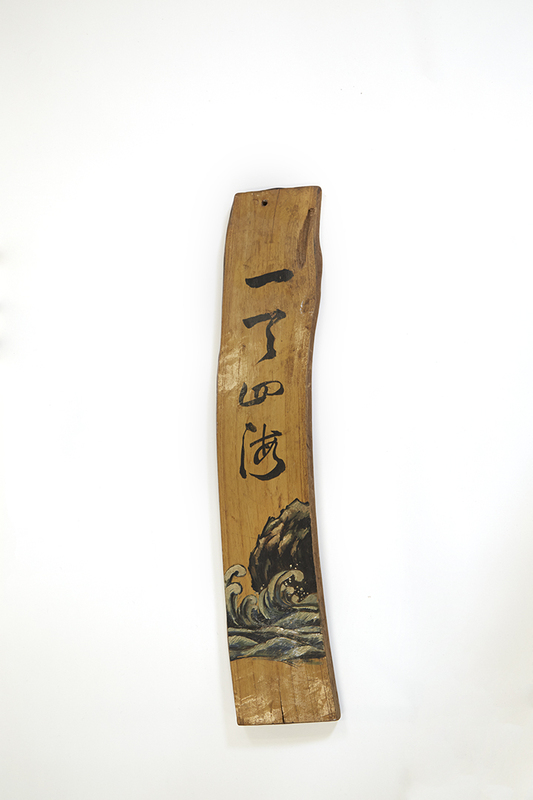 This wall hanging was originally displayed in the barracks of Ryoko Rickie Kobayashi at Rohwer Relocation Camp. The carpenter is identified as “Mr. Ikeda,” and the artist as “Mr. Ryozo Ogura.” The name of the calligrapher is unknown. 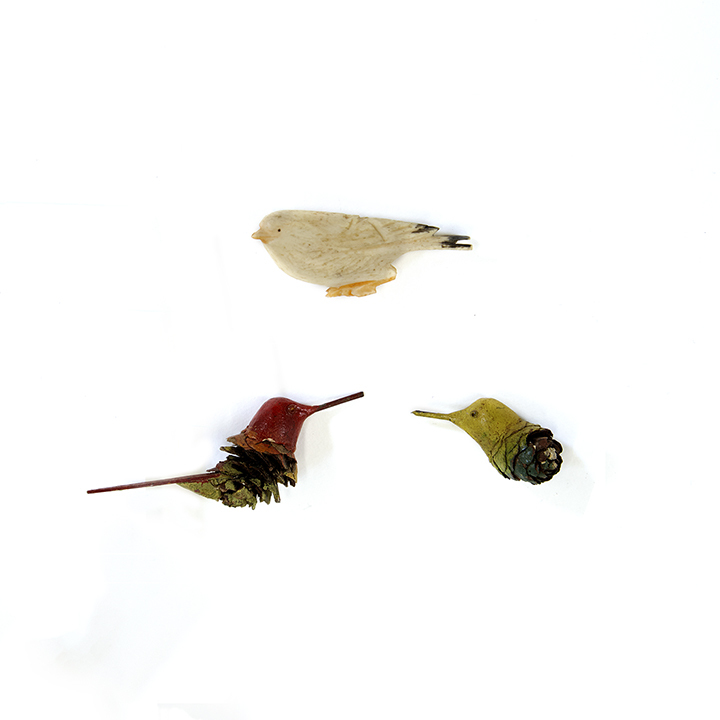 From the Ryoko Rickie Kobayashi Papers and Photograph Collection. 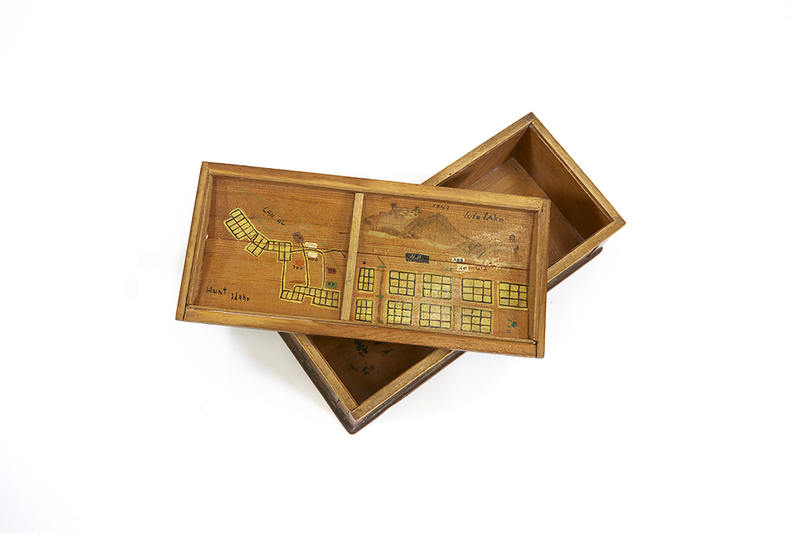 Handcrafted wood box with sketches of Tule Lake and Hunt, Idaho (Minidoka) Relocation Camps, 1943. By Fusaichi Frank Hyosaka, interned first at Tule Lake, and later at Minidoka. 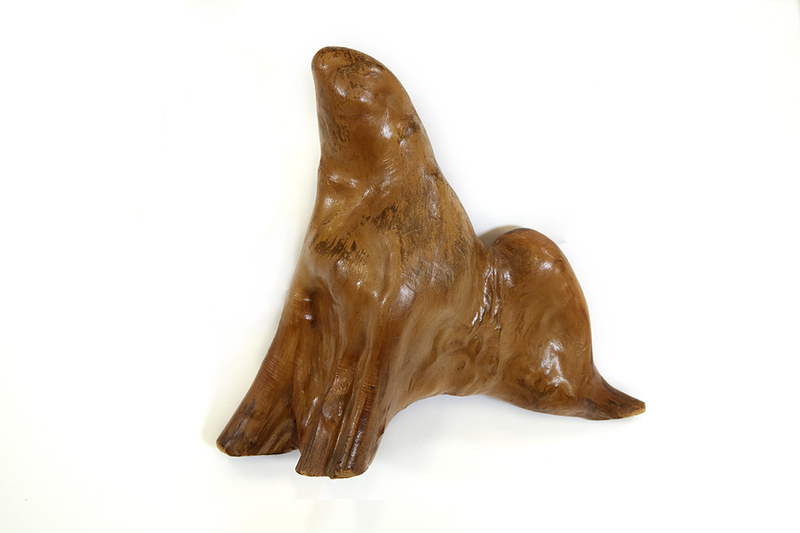 From the Fusaichi Frank Hyosaka Artifact Collection. 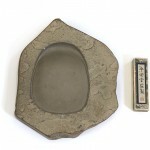 Slate Inkwell with ink, September 9, 1944. The inscription on the back of the inkwell reads “Topaz, Utah; Nakata; 8-9-1944, by Shizue Tamura.” From the Okubo Family Papers. 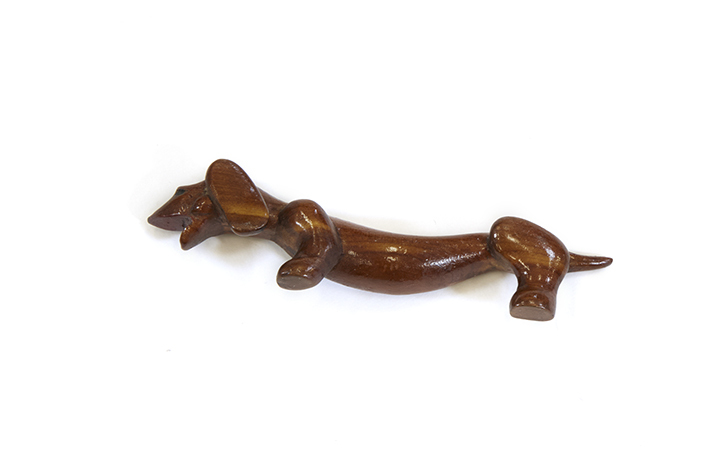 Wood Dachshund pin, ca. 1942. 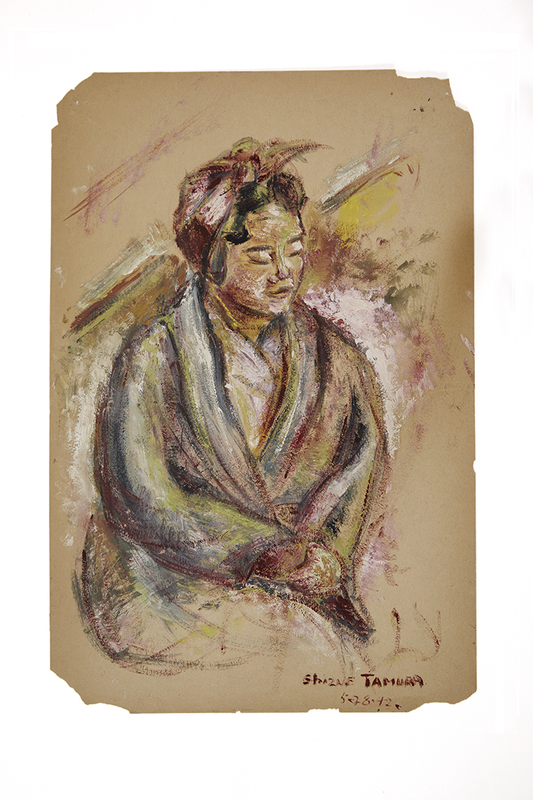 By unknown artist at Poston Relocation Center, Arizona; sent to his friend, Yosaku Miyake, interned at Rohwer Relocation Center, Arkansas. 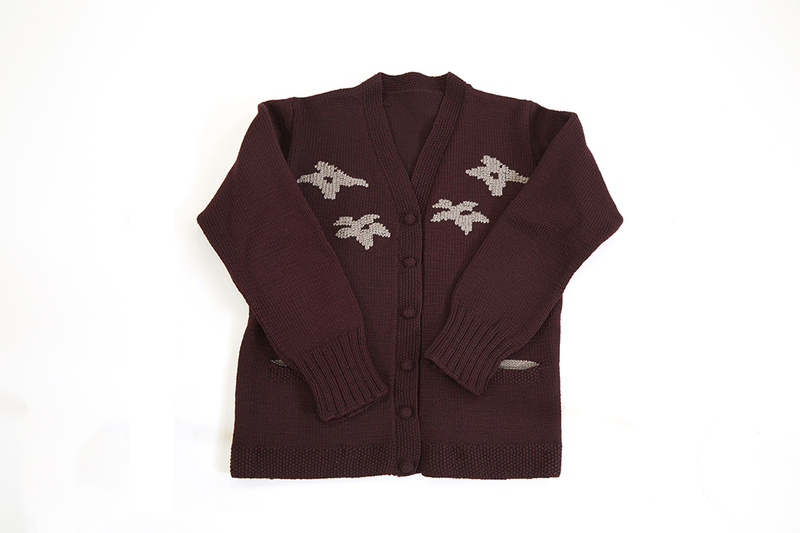 From the Frances Miyake Chikahisa Artifact Collection. 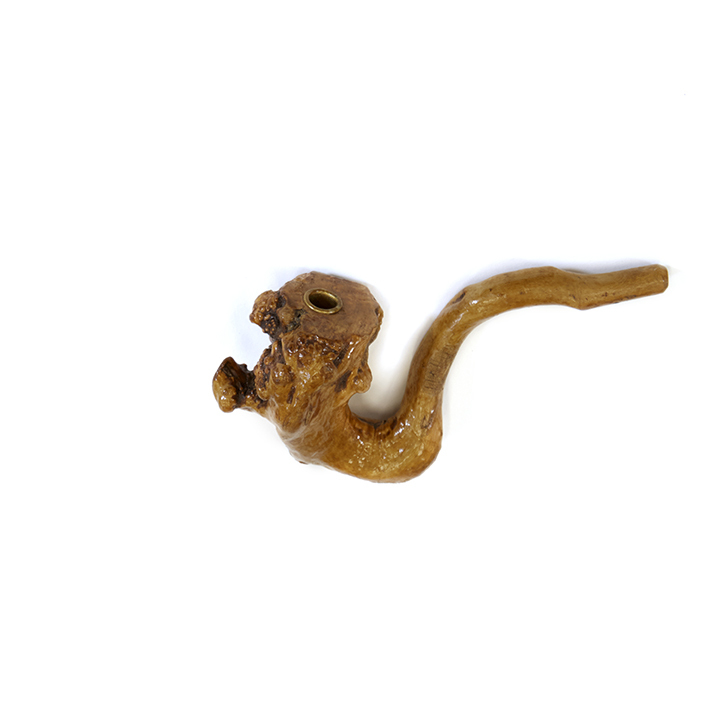 Wood pipe n.d. By unknown artist in unknown camp, ca. 1942-44. 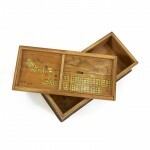 Received by donor from unknown resident at Heiwa Terrace [Senior Housing] in 2000. From the Jane Ike Artifact Collection. 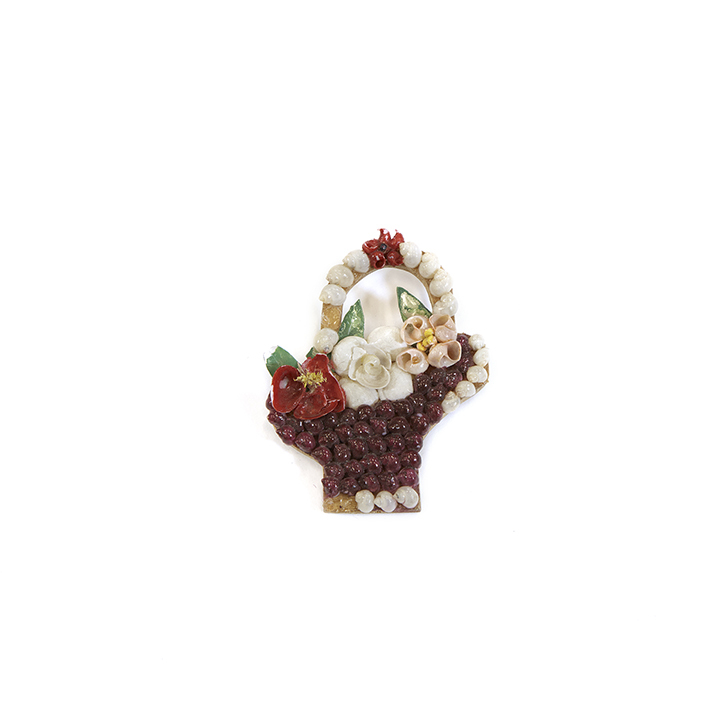 Shell basket pin, n.d., ca. 1943. Artist unknown; made in Tule Lake Relocation Center. From anonymous donor. 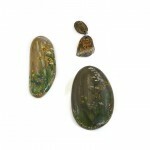 Hand-painted stones, ca. 1942. 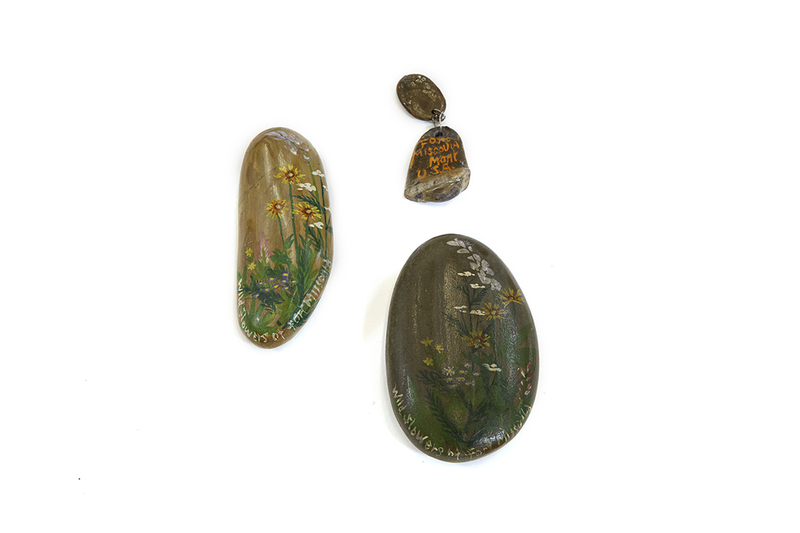 The two large stones with miniature paintings of wildflowers, inscribed with “Wildflowers of Fort Missoula.” The small set of stones contains a tiny wildflower painting with “Fort Missoula, Montana, USA” inscribed on the lower stone. By Mikisaburo Izui, a pharmacist from Seattle; imprisoned in the Department of Justice camp in Missoula, Montana, ca. 1942. From the Izui Family Papers and Photographs. Cover and page from sketch book of wildflowers of Montana, ca. 1942. By Mikisaburo Izui. 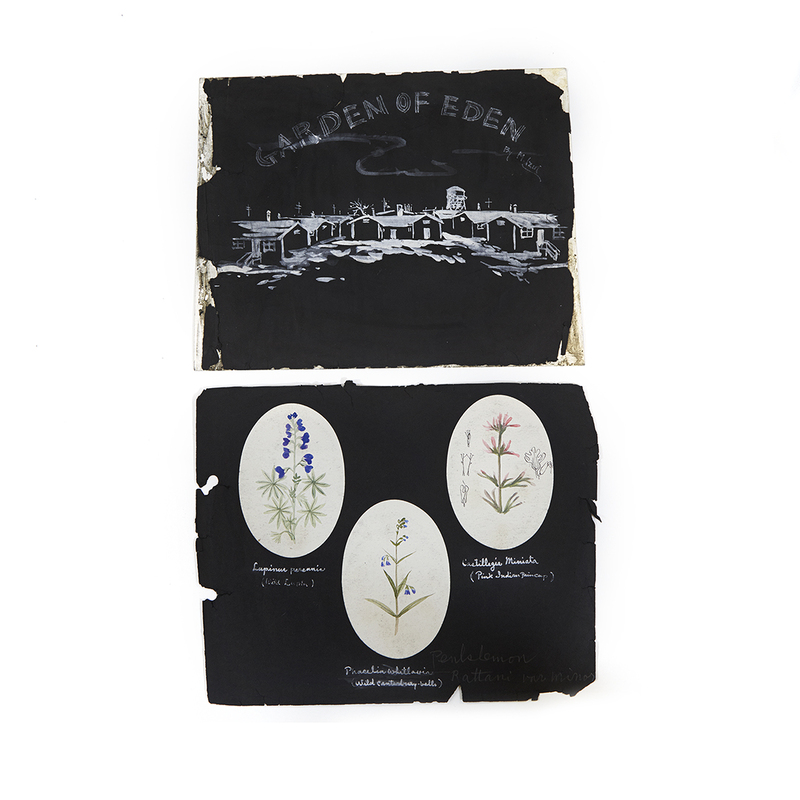 Dryly titled “Garden of Eden,” the book illustrates wildflowers in and near the Department of Justice camp, where Izui was interned. The page shown contains three wildflower sketches titled Lupinus perennis (Wild Lupine), Castillegia (sic) Miniata (Pink Indian [paintbrush]), and phacelia whitlavia (Canterbury-bells). From the Izui Family Papers and Photographs. 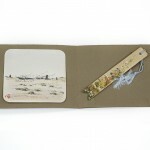 Olive green folio with envelope titled “From: Mr. Izui Camp Remembrance,” ca. 1942. 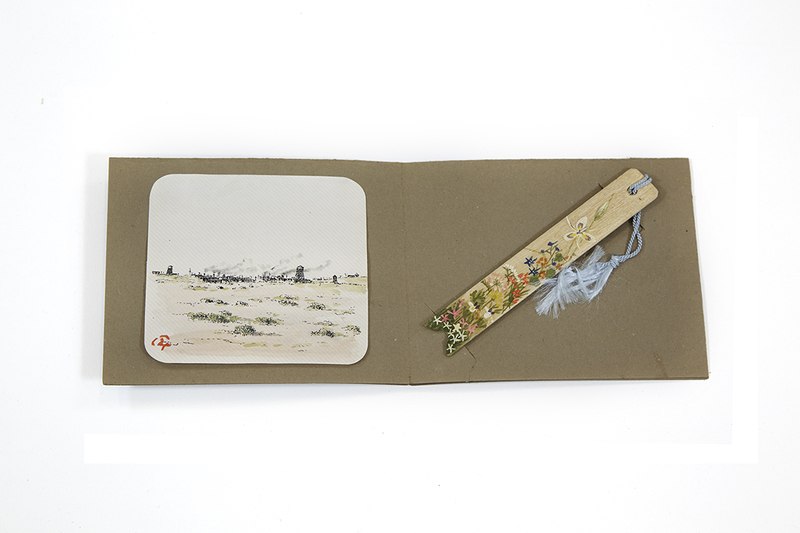 The folio contains a rendering of Izui’s Department of Justice Camp accompanied by a wooden stick with hand-painted wildflowers and blue tassel. From the Izui Family Papers and Photographs. 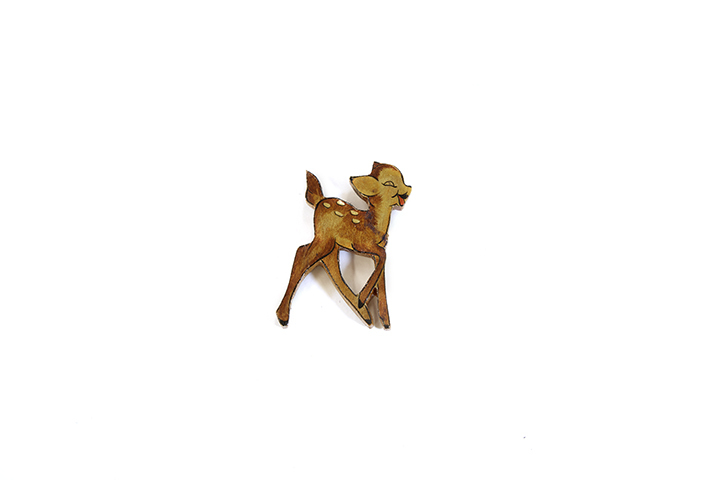 Hand carved and painted wood “Bambi” pin, ca. 1942. 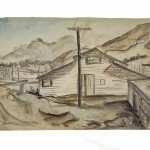 Artist unknown; made in Rohwer, the Jerome Relocation Center, or the Fresno Assembly Center, all camps where the donor was interned. 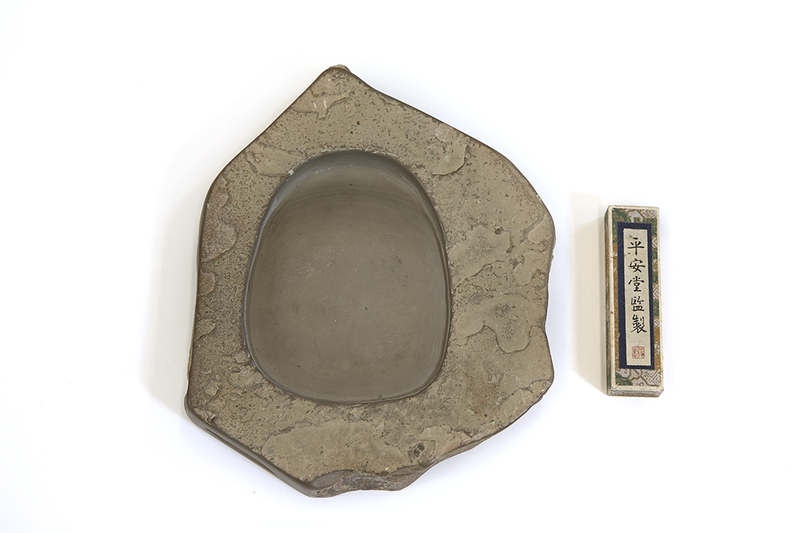 From the Marian and Shunichi Nakagawa Artifact Collection. 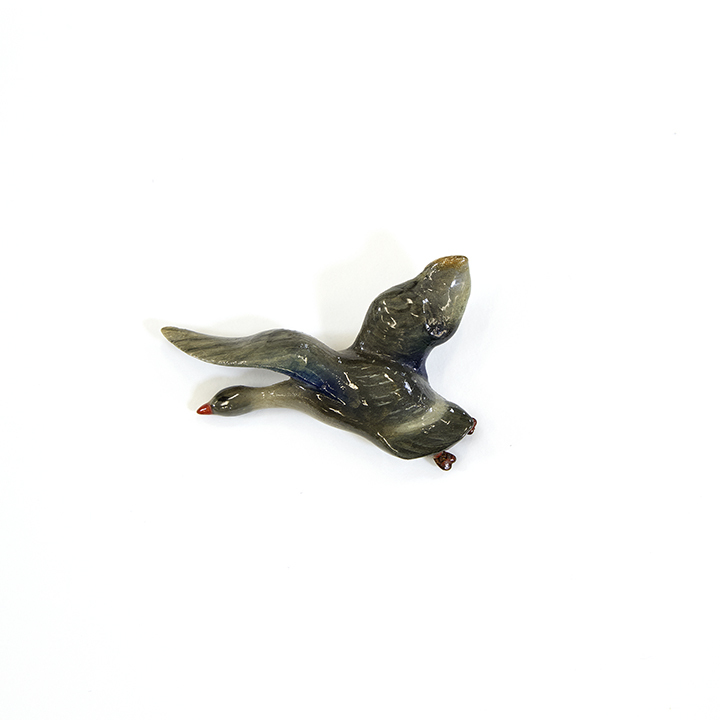 Hand-carved and painted wood goose pin made in Topaz Relocation Center, n.d, ca. 1943. By Shizue Tamura. From the Okubo Family Papers. Three hand-painted miniature wood, pine cone, and metal birds, 1944. By Shizue Tamura. From the Okubo Family Papers. Hand-carved and painted wood bird perched on branch, n.d. Artist unknown; made in Poston Relocation Center, Arizona. 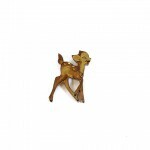 From the Grace Torii Collection. Hand-carved and painted wood birds perched on branches, n.d. Artist unknown; made in Poston Relocation Center, Arizona. 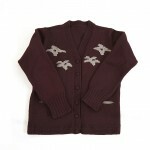 From the Grace Torii Collection. 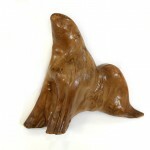 Hand-carved seal, n.d., ca. 1943. Artist unknown; made in Topaz Relocation Center, Utah. From the Hikido Family Artifact Collection. 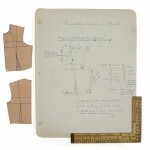 Page from hand-drawn pattern book, ca. 1942-44. 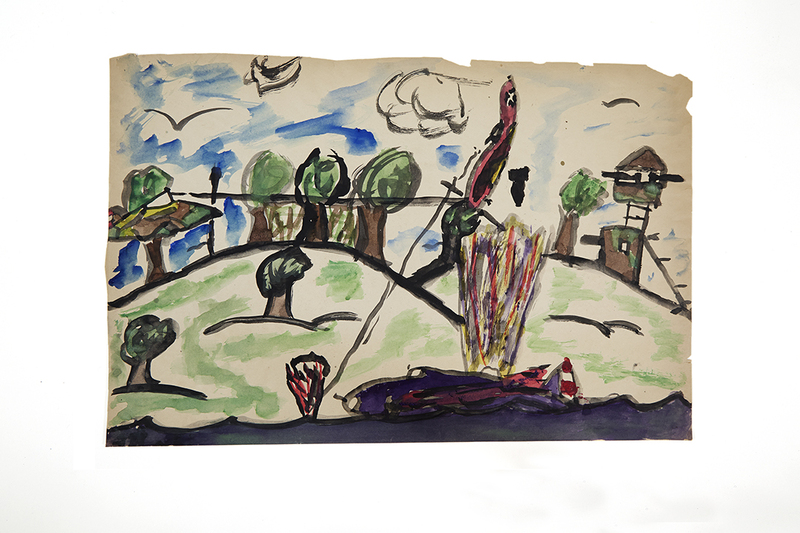 By a member of the Tanino family in Rohwer Relocation Center. 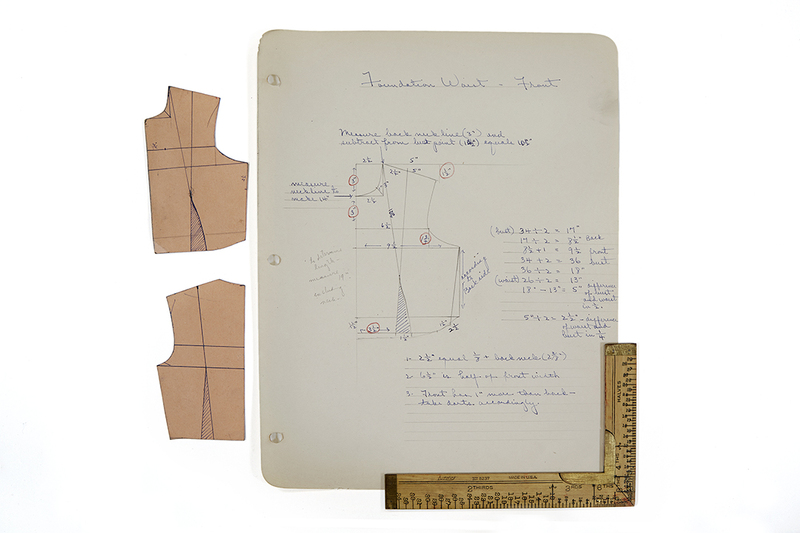 With money scarce and some mail-order businesses refusing to sell to internees, women like the Taninos made their own patterns and clothes. From the Tanino-Szathmary Family Papers. 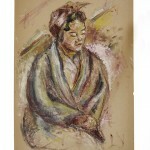 Portrait of a woman, oil, dated 4-28-42. By Shizue Tamura in Tanforan Assembly Center (Tanforan Racetrack, San Bruno, California). From the Okubo Family Papers. 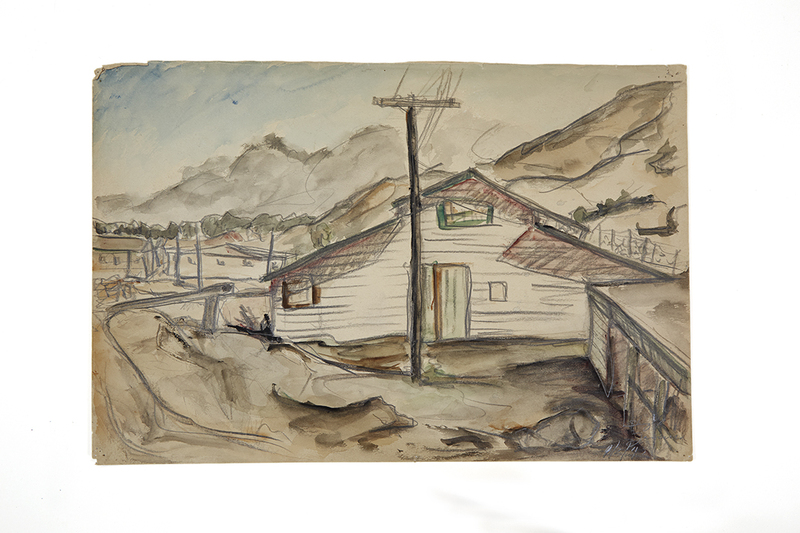 Pencil drawing and watercolor wash of Topaz, n.d., ca. 1942. By Shizue Tamura in Topaz Relocation Center. From the Okubo Family Papers. 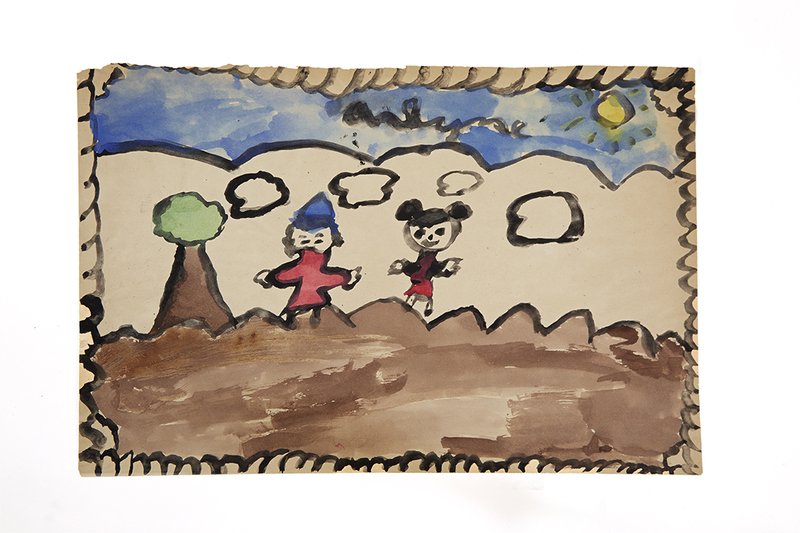 Paintings by unknown children in Granada Relocation Center, Colorado, ca. 1943. 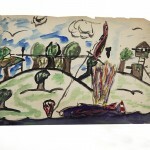 Three scenes show a camp view with guard tower in the background and imaginary crashed plane (unsigned), a figure with mouse ears signed by “Sumi,” and two figures, one with pointed cap and one with mouse ears (signature illegible). 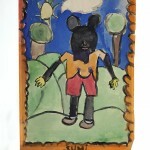 The influence of Mickey Mouse is clear, juxtaposed with the internment and news of the war. 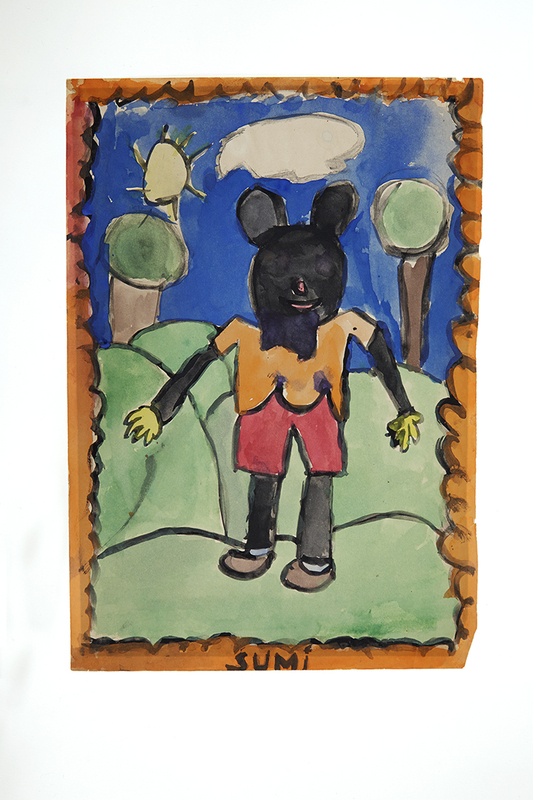 From Children’s Paintings from Granada (Amache) Relocation Center Collection. 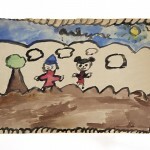 Paintings by unknown children in Granada Relocation Center, Colorado, ca. 1943. 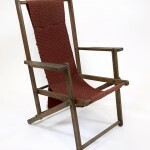 Wood chair with hand-woven seat, one of a pair of chairs, ca. 1943. By Sanyo Nishimoto in Tule Lake Relocation Center. Nishimoto and his daughter Irene were both interned at Tule Lake, then a “segregation camp” for dissidents who refused to sign the loyalty questionnaire to the satisfaction of the government. 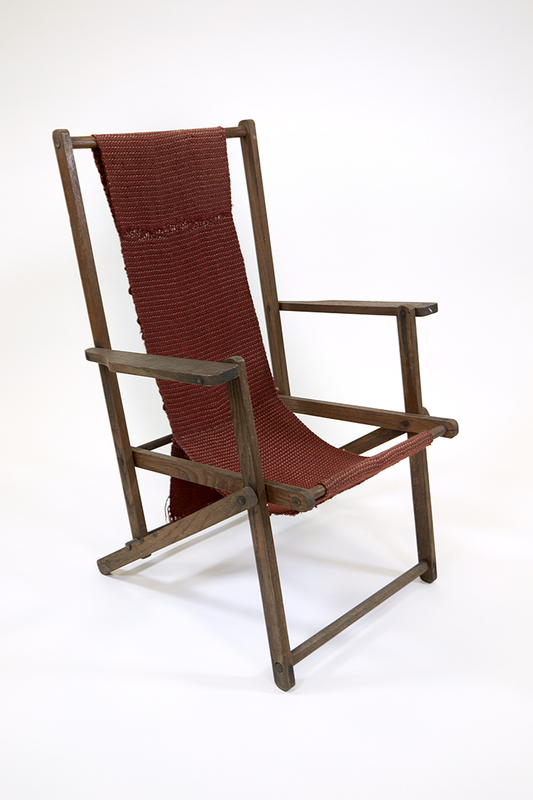 Irene Nishimoto Suyeoka became a noted weaver in Chicago and wove the sling for the chair shortly after release from the camp. From the Nishimoto-Suyeoka Family Artifact Collection.